You are here: Home / Free Crochet Patterns / Free Pattern Friday / Play Mats, Rugs and Floor Mats! Welcome to Free Crochet Pattern Friday! This week we have a selection of free patterns for rugs, floor mats, mats and carpets! Many of these would be great projects to use up some of your stash yarn! I have included links to 20 different projects – a few were initially designed as part of crochet-a-longs (CAL) so they may be in multiple parts with videos and photos available to help you along. One additional rug I wanted to share is this Quick & Easy Half Circle Rug by Jessy of Chaleur Life because I think it is perfect to use in front of doors and counters because of the shape! 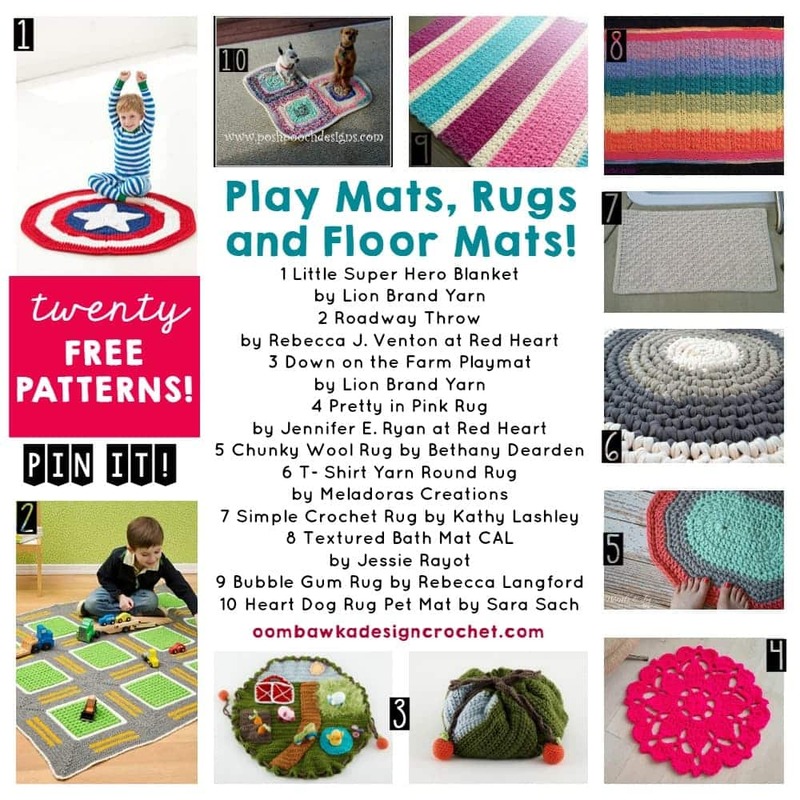 20 Free Crochet Patterns for: Play Mats, Rugs and Floor Mats! Visit this post for all the episodes!!! Great collections and projects, Rhondda, I pinned it to one of my popular boards.